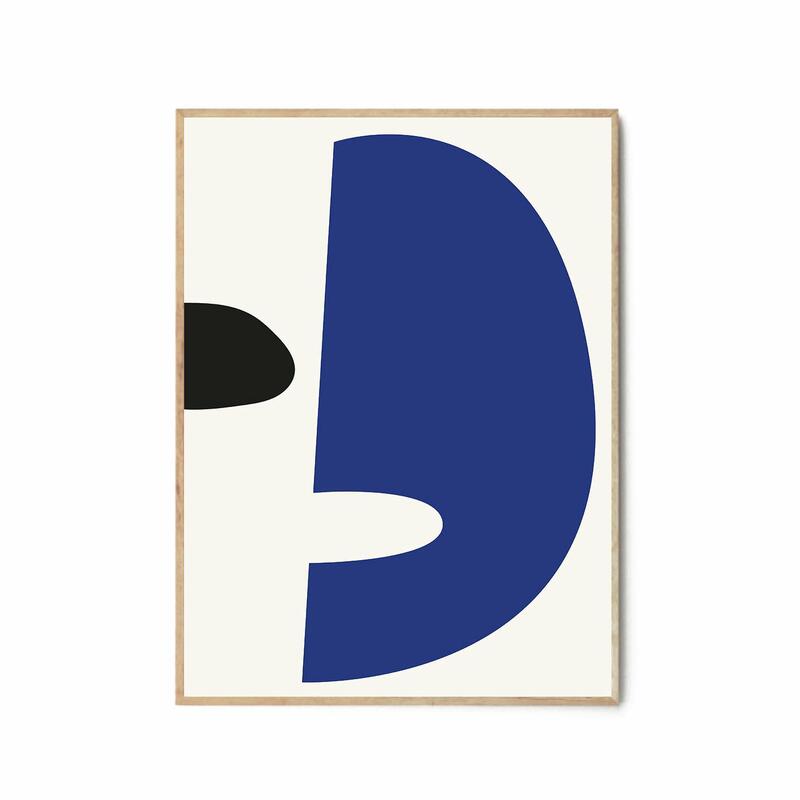 SOMÉE WULAR ART PRINT - FRAMED This fine art print, by SOMEE for The Poster Club, is an abstract composition of shapes in blue and black. The overall effect when anchored with the white negative space, is a portrait, perhaps akin to a tribal mask. Size: H 70 cm, W 50 cm. PAD Lifestyle in Edinburgh, United Kingdom.